Colorado potato beetles are native insects that can decimate your potato crop. 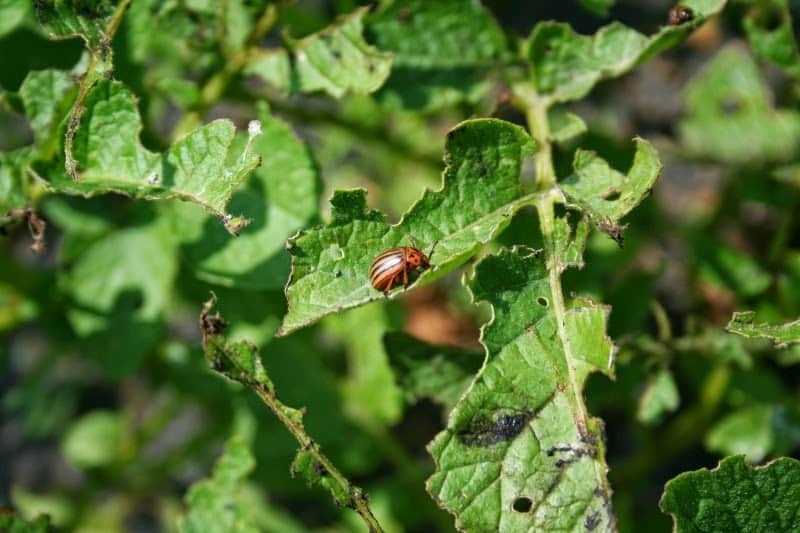 Here’s some ideas for dealing with a Colorado potato beetle infestation. Colorado potato beetle enjoying the leaves of my potato plants. Meet public enemy #1, at least around here this month…the Colorado potato beetle. The picture I took above doesn’t give you an idea of the full extent of the damage these awful pests have done to my potatoes. Not only do they infest potatoes, they’re working their way back in the garden towards the tomatoes. I’m afraid to plant my eggplant seedlings; they’re still in small pots on my front porch, well away from the infested areas, and last year my eggplants were eaten down to skeletons in one night. Walk around your plants and flick the adults and larvae into the water, where they drown. This weekend I also did the old-fashioned squash ’em technique. I walked around the potato patch with two rocks and yes, squashed them between the rocks. You have to have a strong stomach for that activity. (Don’t read the rest of this paragraph if you’re squeamish). Some of them squirt on your when they squash. I was lucky I was wearing glasses. I had to take a shower afterwards and throw all my clothes into the wash. But the potatoes were saved…for another day, at least.Crop rotation helps, such as planting potatoes only every other year or so. The beetles fly elsewhere and there are fewer larvae in the soil. 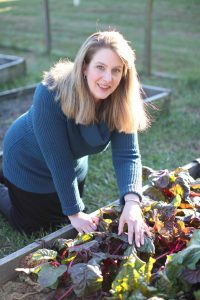 My plan for next year is to plant melons again in the areas where I have potatoes this year, and grow only sweet potatoes. They leave those alone, which is great news.BT, an organic bacterial insecticide, and neem oil both are promising organic treatments, so I will try neem this weekend as I have it in the garage. The only known predators for these Colorado potato beetle are the lady beetle, also known as the lady bug, and the stink bug. God has a sense of humor, because those two insects are the ones that manage somehow to get INTO my house each year and plague my upstairs rooms. 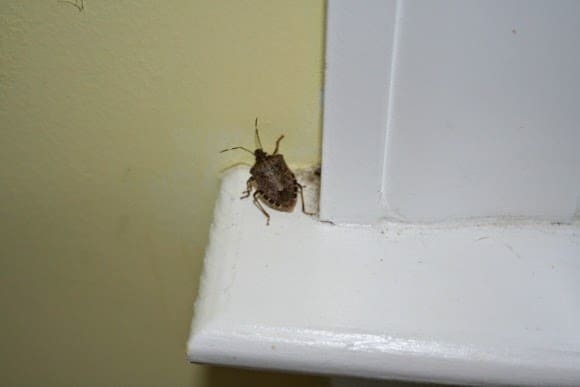 A stink bug in my kitchen. Hey, you – there’s plenty of food outside!